Golf enthusiasts are known for being picky, that’s why these presentations have been crafted to showcase the subtle details of TaylorMade’s products. 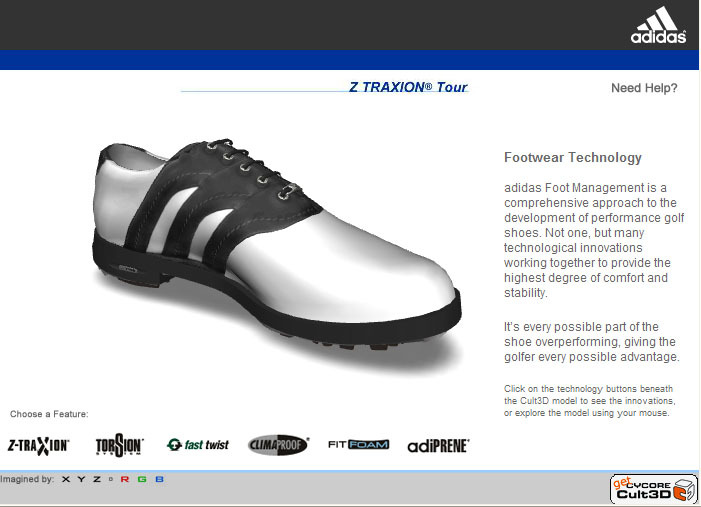 Take a look at the technology behind the Adidas Golf shoe in this Adidas/Taylormade joint promotion. Choose you clubs from this selection of Taylormade golf club models. These product presentations were created at Cycore North America. The golf club models were created with the help of Johnny Leung. The golf shoe model was created with the help of Johnny Leung, Andre Kun and XYZRGB.